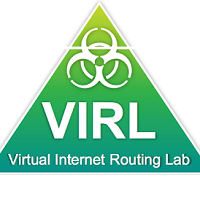 We use VIRL, the ‘Virtual Internet Routing Lab’, to create network simulations. This may be handy if you’re studying for an exam. Or perhaps you want to use it for work. It’s good to build a proof of concept or to test configuration before it’s deployed. While useful, VIRL also has some unexpected issues. The resources here will help you to overcome them quickly.